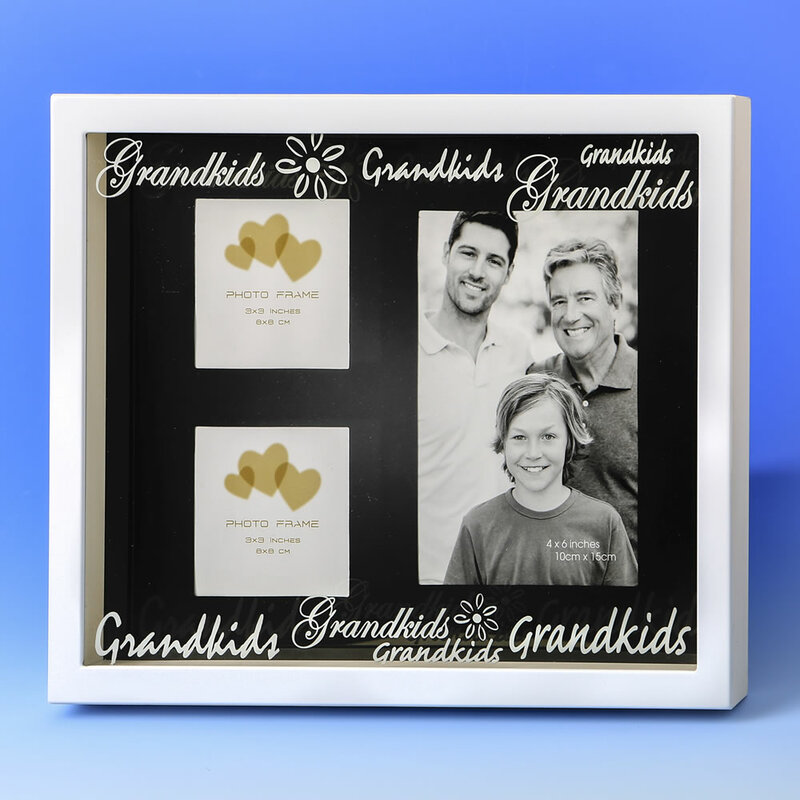 Make a unique gift for the Grandparents - fill this shadow box frame with 3 sentimental pictures and wait for the smiles! 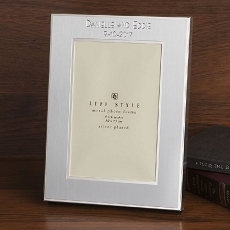 This unique frame has a shadow box design and is made from aluminum. 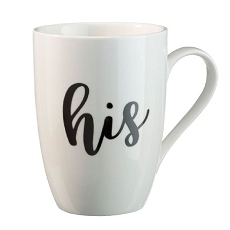 It has a black matt inside and a striking white outside. 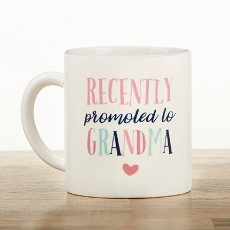 The front of the glass is decorated with silk screen words 'Grandkids' and flowers. The frame has 3 photo openings - one 4x6 and two 3x3. A velvet back with an easel allows the frame to stand and it can also be hung using the back hook. 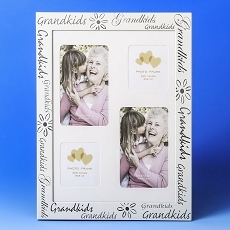 A fabulous gift idea for grandparents. Size 8 3/4" x 10 3/4"